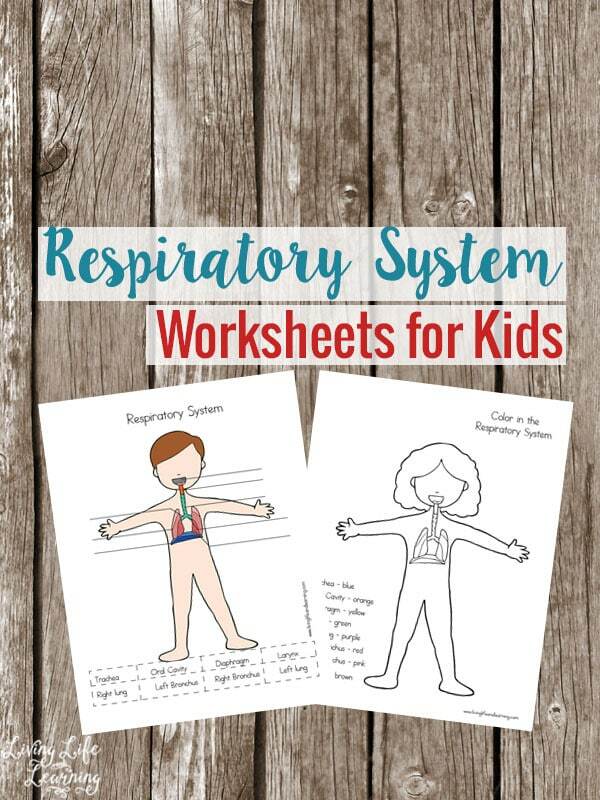 These respiratory system worksheets will help you discover all of the organs and see how they work together.I’m still going strong with these science worksheets because they’re so fun to make. I’m also getting a refresher on some of this stuff which I haven’t looked at in a long while. As you’re talking about the respiratory system, you could also go into respiration and photosynthesis and save that for your plants unit. I always like to discuss how we breathe in oxygen and then exhale carbon dioxide as a waste product. I do like to tie this into photosynthesis because even though it is a waste product we have a symbiotic relationship with plants. We provide them with carbon dioxide while they produce oxygen for us. The oxygen travels through our mouth or oral cavity, passes the pharynx, to the larynx then down the trachea to one of the bronchi, through the bronchioles into the lungs. Not pictured in the worksheets are the air sacs that are on the ends of the bronchioles called alveoli because they are too small to be pictured. The diaphragm moves up and down as your inhale and exhale so it helps the lungs expand and contract. 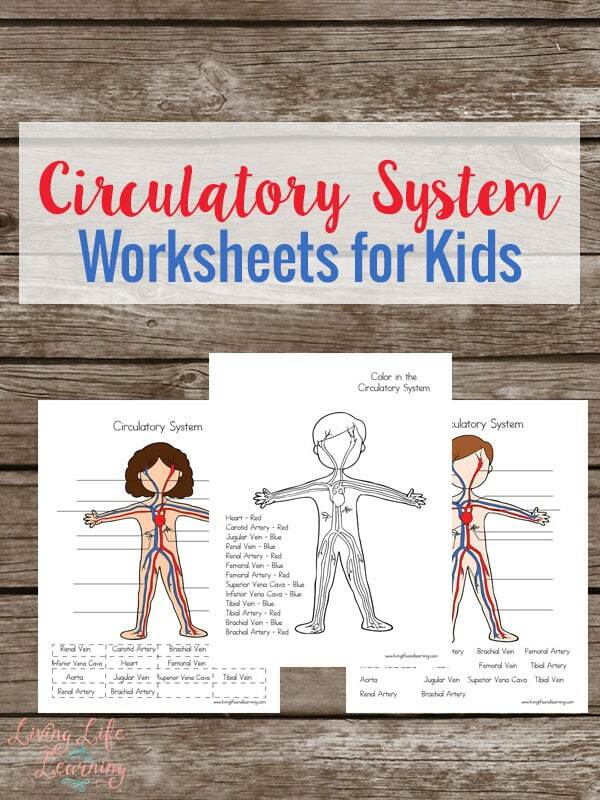 Children are so curious to learn about the human body and these worksheets are just perfect for them. They’re easy to use and fun to color and they’ll keep your child engaged and active in this activity. You’ll just need to have a few supplies to get started on these simple worksheets. 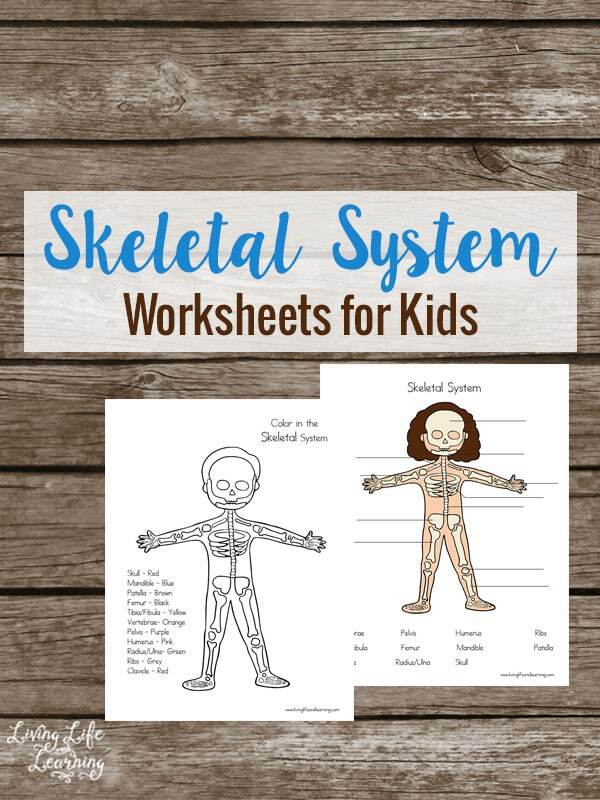 Once you get started learning about the human body and all the components, you may find that your child doesn’t want to stop! That’s good news! The more they want to explore, the better! 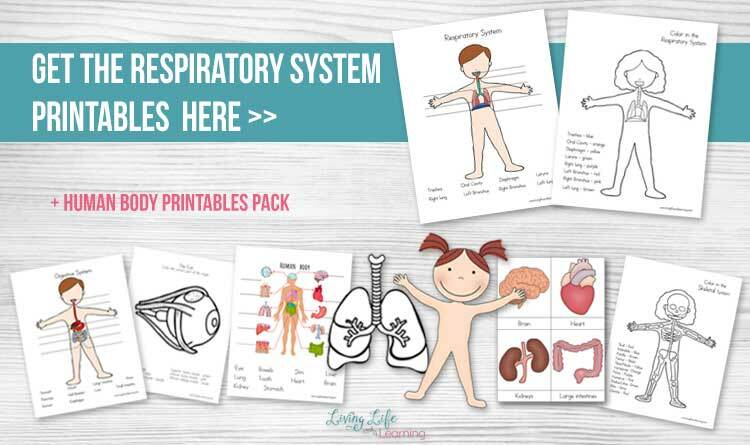 These options below can be great additions to your homeschooling environment or home learning that can teach them even more about the human body. Don’t delay! Make certain that you get your printables here! Let your little one start learning early in life all about the importance and function of the human body. I love these! Thanks for having a simple kids version that’s not too real and not too cartoon. I’m grabbing every one that you do! Thank you!! I just update this last night, go ahead and try again.